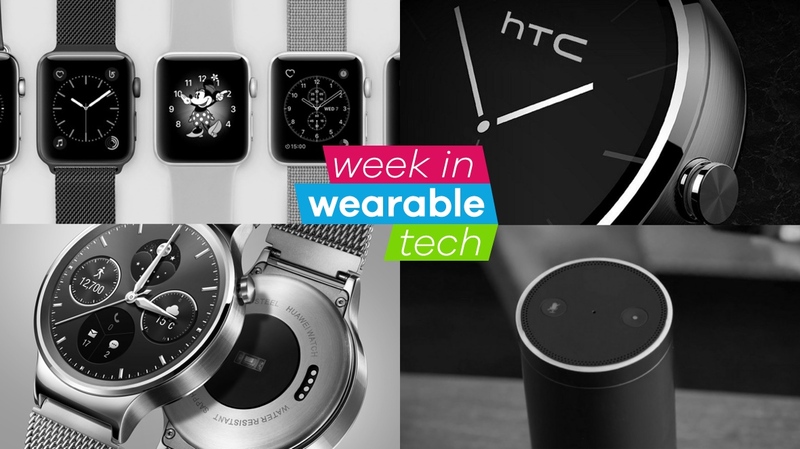 Well, wearable tech lovers, it's been another busy week. So if you happened to miss anything over the past seven days, below is your fix of the biggest and best stories. Be sure to check back tomorrow for And finally, our weekly round-up of the best rumours and smaller stories of the week. Much like Google has with Assistant, fellow tech giant Apple is set to open up watchOS by allowing developers to build Siri support into their apps. So in the future, when you're desperate to reply to a WhatsApp message or request an Uber to the train station, the process should be more streamlined. As well as branching Siri out to the masses, Theater Mode (which mutes the sound of the Apple Watch and disables the raise-to-wake feature) is set to drop in the next update. And, if talking to Siri more doesn't sound like your idea of cool, there's always hoards of nifty accessories to kit your watch out with. If you were getting excited amidst the swirling rumours of HTC's long-awaited Android Wear 2.0 smartwatch, we have some bad news for you. Yeah, so it isn't happening. Despite a recent leak hinting at a collaboration with Under Armour, HTC's president of smartphones and connected devices shot down any possibility of a HTC smartwatch anytime soon. "I can tell you that we're not going to have an Android watch. I don't think we've nailed it with [the experience of] watches," Chialin Chang said. One Android Wear smartwatch that could be arriving from the Far East is the Huawei Watch 2, which was detailed this week. If 2016 is remembered as the year when everyone's childhood hero passed away, 2017 could be marked as the period when voice powered devices experience a breakout and truly took over our homes. A report suggests that voice-centric gadgets are set to sell an estimated 24.5 million units this year. And, yes, while those numbers may not blow you away, it's actually triple the amount sold in 2016, and dwarfs the 1.7 million shipped in 2015. Stay tuned for a potential Alexa world takeover. Or, alternatively, get ahead of the game and see which devices Amazon's voice assistant works best with. Although Android Wear 2.0 has suffered through some delays, a tasty caveat is that those looking to mix in Apple will be able to download standalone Wear apps straight to their smartwatch. On paper, this will bring the iPhone experience of using Wear into line with how the OS works with Android smartphones. And with these standalone apps set to become a defining factor of the 2.0 update, maybe the tech world can finally come together and unite as one. Or maybe not.